About a year ago, my favorite wing place closed down and mysteriously went out of business. Ever since then, I have been on a mission to find a solid replacement for my dearly departed local wing joint, and East Coast Wings might just do the trick. 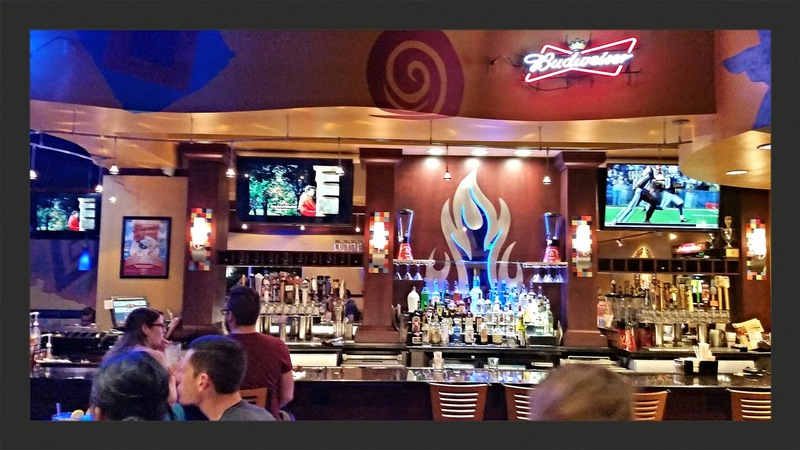 If you are unfamiliar with the brand, East Coast Wings & Grill is a fast growing casual dining chicken wing franchise that has 24 locations in North Carolina, and has signed agreements to add 70 new restaurants across the country within the next several years. The franchise concept not only caters to the chicken wing lover by offering 75 different flavors of chicken wings in any of nine heat intensities, but also features salads, wraps, sandwiches, burgers and more, all using fresh ingredients. The newest franchisee for Orlando just happens to be a former small forward for the Orlando Magic by the name of Quentin Richardson. Although Richardson may be known for his basketball skills, he has a keen interest in business development. With the help of Jackson Brown Hospitality Group, he has signed on to open ten East Coast Wings locations in Orlando over the next seven years. Two of those locations are now open for business. The first one to open up was on south Alafaya trail closer to UCF and the Waterford Lakes area. The second location is in Downtown Orlando, and is aiming to give the downtown crowd some good alternatives for lunch and dinner. I had an opportunity to stop by the downtown location and try them out. While we can all argue about the origin of the wing, or how big a wing should be, I personally like a nice medium sized wing. I get fed up when I am presented with those tiny miniature wings that some places try to serve, but I also do not want a mega jumbo turkey drumstick either, and I am very pleased with the size of wings at East Coast Wings. The variety of sauces and flavors as well as heat intensity offered here can be a bit overwhelming, so I would recommend going with a group and getting lots of wings. What makes this place unique aside from the wings is the variety of other foods offered as well. They have a surprisingly large menu full of unique appetizers, salads, wraps, sandwiches, burgers, pot stickers, nachos, egg rolls...you name it...they have it. There is something on the menu to satisfy everybody, and they have some pretty damn cold beer too! We started our adventure with the Chester's Pub Pretzels. 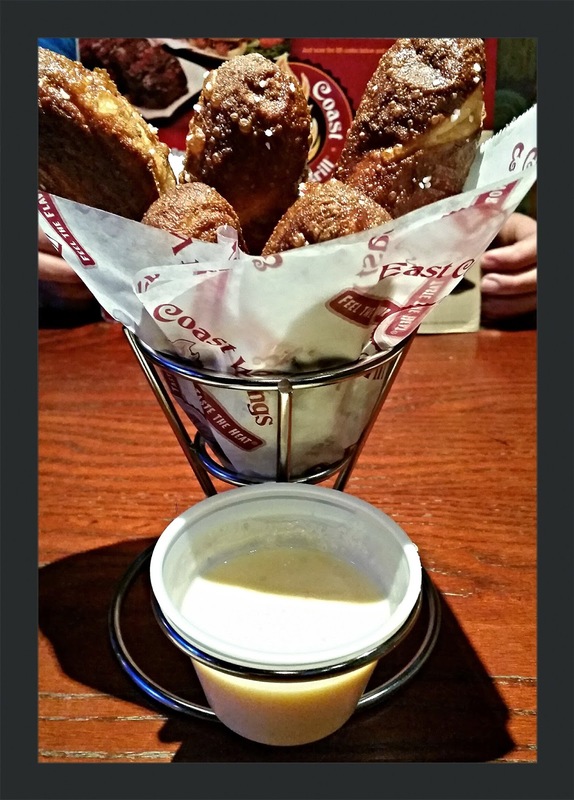 These are soft pretzels, served with your choice of bourbon honey mustard or Sam Adams craft beer cheese sauce. The soft pretzels were good by themselves, but that beer cheese sauce was addictive and delicious. We could not resist the Buffalo Chicken Pot Stickers. 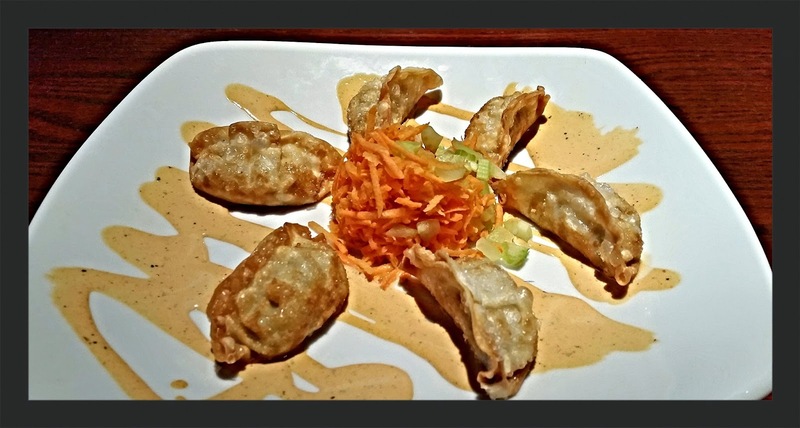 Wonton style dumplings are stuffed with seasoned chicken and cabbage, garnished with shredded carrots and celery, and drizzled with Peppadew Ranch. A must have treat! 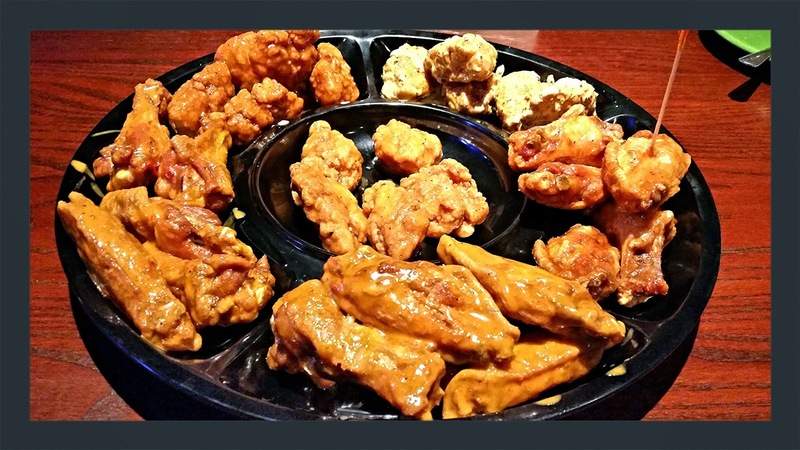 Chester's Wing Sampler is 30 wings in your choice of 6 flavors-We decided on Grande Cayman, Jamaican Jerk, Mango Bango, Bourbon Street, Garlic Hot, and Caribbean. Some were bone in and some were boneless, but all of them were good. As a grand finale, we ordered the Big Easy Binnies. 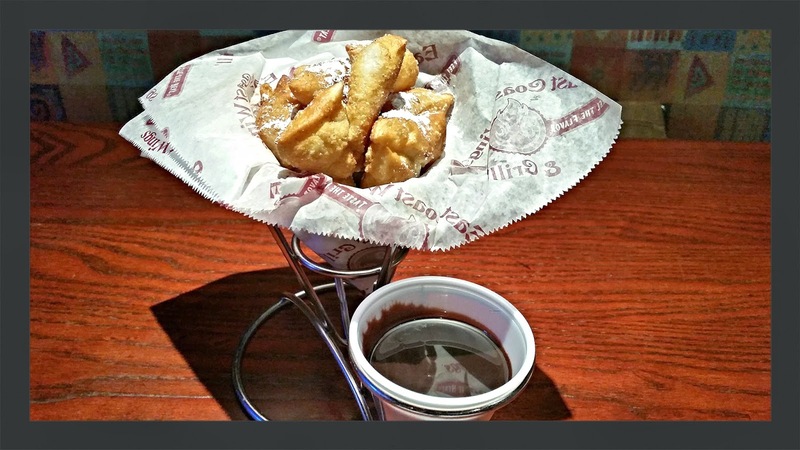 These are miniature versions of a New Orleans beignet, dusted with cinnamon, powdered sugar and served with your choice of caramel, chocolate or raspberry sauce. Overall I was really impressed with the food at East Coast Wings. I am looking forward to a return visit, not just for wings, but for maybe a burger, or a turkey and Swiss, or maybe a wrap, or...well you get the picture. So much good food, so little time. Stop by and check them out some time, your gonna love it.